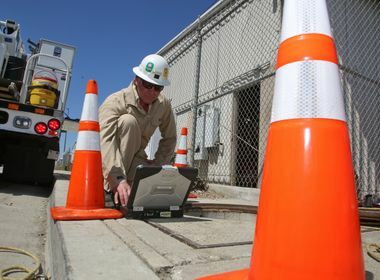 SCE linemen are flown in pairs to the transmission tower in Corona. Once the linemen reach the transmission tower, the helicopter pilot gently sets them down on top. The SCE crew uses ladders attached to the transmission line to climb down and replace the old insulators. SCE helicopter pilots use precision flying skills to transport linemen to their work location. See the crew get lifted to the Corona worksite. Have you ever seen a lineman fly? 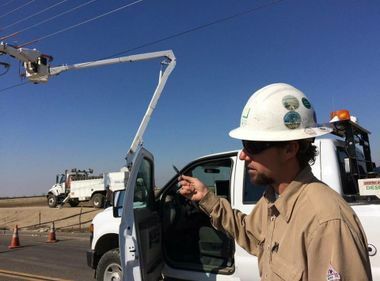 With special permission, Southern California Edison linemen recently attached GoPro cameras to their helmets and took flight to replace aging insulators on a transmission line near Corona, California. The towers traverse the Santa Ana Mountains and help carry electricity from Menifee to Anaheim. There’s no road nearby and the land is steep with dense forest. A method of transportation, called human external cargo, allows linemen to be suspended by a rope attached to a helicopter and lifted to the site. Before taking flight, the entire crew and helicopter pilots met for a tailboard, or safety discussion, to go over specifics of the day’s work. They discuss potential hazards, the weather forecast and the nearest hospital in case of an emergency. After the tailboard, each crew member checks their own harness to make sure it’s ready for flight. They then do a buddy check on another lineman to be extra safe. Eight linemen were assigned to the job and paired up for the two-minute flight. 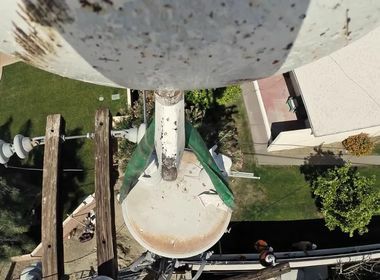 The crew was flown up to the tower, followed by their equipment and new insulators. So what’s it like flying below a helicopter on your commute to work?